This month we delve into the world of blockchain and how insurers and InsurTechs in China are rapidly deploying new applications using the technology. It would have been a challenge to get through 2017 without encountering a blockchain debate. The form of distributed ledger that came to prominence as the underpinning for the Bitcoin cryptocurrency has proven its applicability far beyond financial settlement and security. At its simplest, a blockchain can secure and record the transfer of any kind of digital data between multiple parties in a completely trustless and decentralised manner. Using blockchain technology removes the need for centralized third parties or intermediaries, in any transaction. A blockchain inherently secures the data being handled in such a way that no single party accessing it can alter it without the consensus of everyone involved. 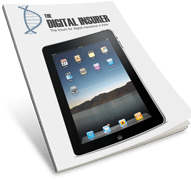 This hugely transformative technology has far reaching consequences for the insurance industry – if it lives up to the hype. In this month’s thought leadership, Swiss re’s Paul Meeusen and Jags Rao give you 10 reasons why it just might. Unsurprisingly, InsurTechs and insurers have already begun rolling out blockchain use cases in China from automatically settling claims, to validating individuals’ identities and much more. We look at some of those use cases and also highlight the regulatory environment surrounding the technology. Our interview with the CEO of ChainB, James Gong, gives a Chinese blockchain insider’s perspective on the technology, and finally our blockchain InsurTech of the month is Factom, find out more about what it is doing in insurance and the team behind it here. This month we examine blockchain deployments across three key use cases; electronic health records, claims and back office automation. In addition to the tchnical compexity of inetrgating blockchain based architectures with insurers' existing IT systems, we consider the use cases for consumers. This month Paul Meeusen and Jags Rao from Swiss Re argue blockchain is a game changer for the insurance industry. This month we interview one of China's blockchain pioneers, CEO of ChainB, James Gong. The proliferation of blockchain based applications within insurance will depend largely on regulator acceptance. This month we examine the convergence of blockchain and regulation technology - regtech. This month we meet Factom: a U.S based blockchain offering with some interesting use cases for China insurers. ZhongAn’s new blockchain arm is developing a blockchain-based open platform for insurance transactions in order to facilitate the growth of an insurance industry ecosystem. Italy based Neosurance has created a platform which enables insurers to deliver scenario based tailored policies. 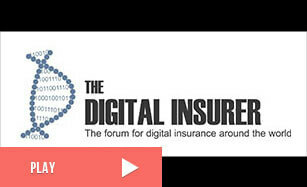 Digital Risks offers coverage against the rising threat of cyber-crime and data breaches. Adlib is making sense of terabytes of unstructured data spewing out from social media platforms, wearables and internet enabled devices. XL Innovate is a corporate venture fund focused on the P&C vertical and investing in startups that are addressing emerging and underserved risks. A $100 million fund established in 2015, is actively investing in and partnering with genetic, data analytics, cyber security, digital health and enterprise software startups that can be applied to the insurance industry.